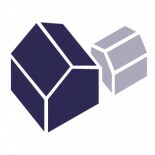 To learn more about this company, check out ADU Design-Builder Profile: Shelter Solutions LLC. For a more in-depth look, read Satish’s ADU: A Backyard Landlord Cottage. The Project: There was an old one car garage in the rear of the property that was not being used. The owner thought she could make use of it and potential added income. She has had long term renters in it since completion. The Challenges: The sewer and water lines for the ADU had to go over 125’ to connect to the house line in the front yard, which was expensive and challenging. We used recycled wood – from submerged Douglas fir from the Columbia River for flooring and ceiling finish. We constructed a built in bed with storage, and a dresser/armoire on casters so it can be moved about the unit. The Challenges: The owner wanted to go with the maximum 800 sf, but his lot was smaller than usual so lot coverage became an issue. So we reduced the footprint to make it work. Maximized the site, very little disruption to the site other than the footprint itself. Combined all underground utilities in one trench. The Project: Built to match the existing house, and to be accessible. The Challenges: Accomplishing the occupant’s needs on one level. This was one of the easier ones because it is on a corner lot with great access. Utilities were easier than usual. Everything the elderly occupant needs is on the first level: bedroom, accessible bathroom, accessible kitchen. Upstairs is additional bedroom and storage for future use. Also, the owner is a professional gardener so the ADU was positioned to maximize the remaining space for gardening. This entry was posted on May 20, 2016 by linamenard in ADU Design-Builder, ADU Professional Profiles, ADU Profiles, Aging-in-Place, Conversion, Detached, Garage, New Construction, Projects and tagged Joe Robertson, Shelter Solutions.